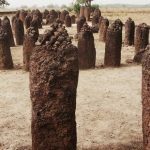 Senegambian stone circles are the largest congregation of megalithic complexes recorded till date in any region of the world. It is located in the Gambia and central Senegal covering an area of 30,000 km². The exact date of construction is still not known, but the accepted period among researchers falls between the 3rd century B.C. and the 16th century A.D. Archaeologists also found human burials, pottery shards and some grave goods and metals around the megalithic circles. Few of these are housed in the British Museum’s study collection presented by the colonial administration. 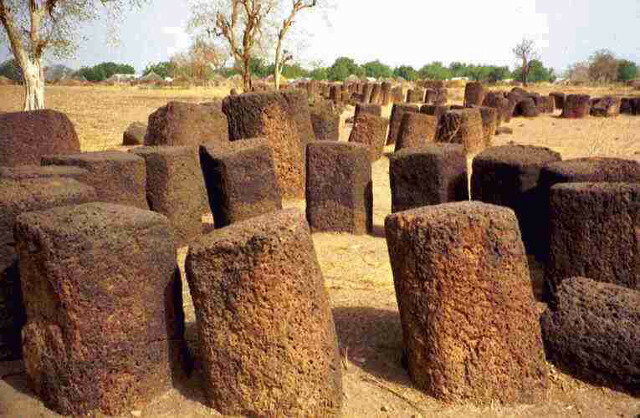 The megalithic area consists of about 29,000 stones, 17,000 monuments, and 2,000 individual sites. The amount of labor required to build the structures reflects the existence of a prosperous and organized society. 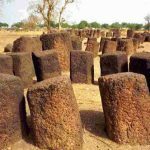 The monuments were upright blocks or pillars made of laterite with smooth surfaces. 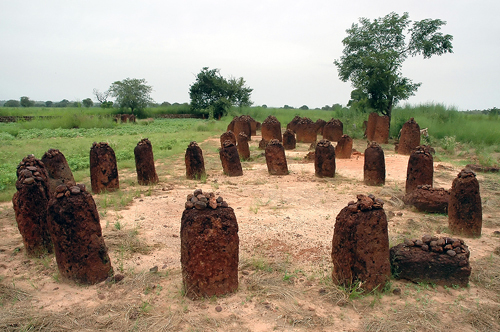 The monoliths occur in circles, double circles, or stand apart from circles in rows or appear in isolation. 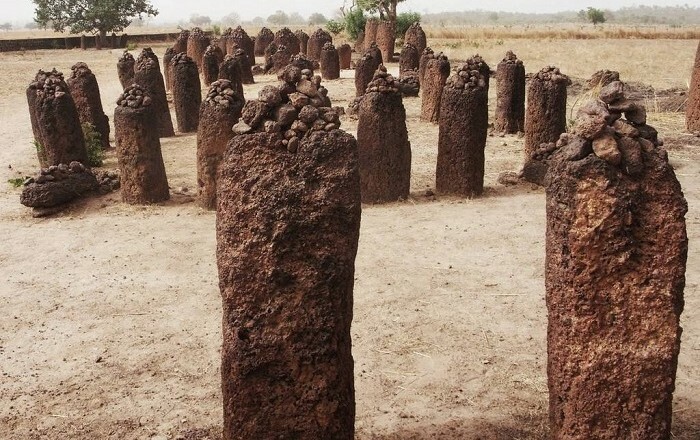 The stones standing outside the circle are known as frontal stones. When frontal stones stand in two parallel, connected rows, they are known as lyre-stones. The monoliths are segregated into four large sites, namely Sine Ngayene and Wanar in Senegal, and Wassu and Kerbatch in Gambia. 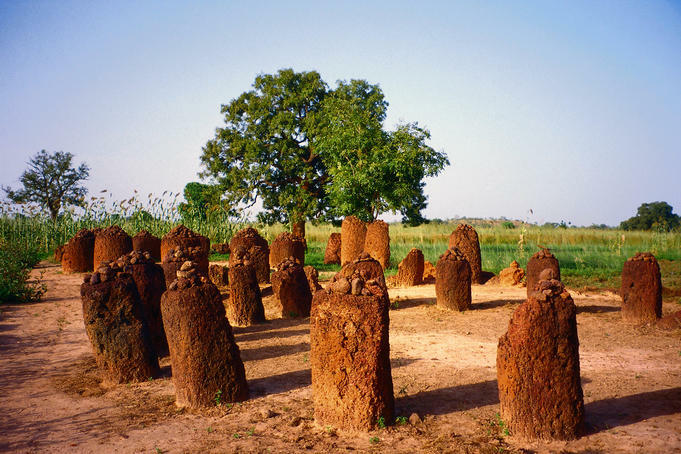 It is situated in Gambia’s Niani district comprising eleven stone circles. The site contains the tallest stone with a height of 2.59 m. A great degree of craftsmanship had gone into extracting the stones without cracking or splitting them. 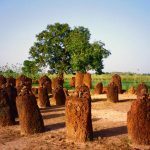 It lies in the Nianija district of Gambia comprising nine stones and one double circle. 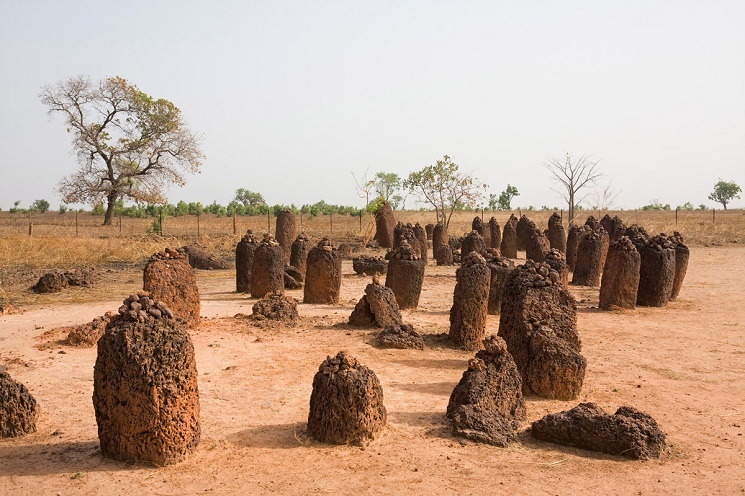 It is located in Senegal’s Kaffrine district comprising twenty-one stone circles and one double circle. 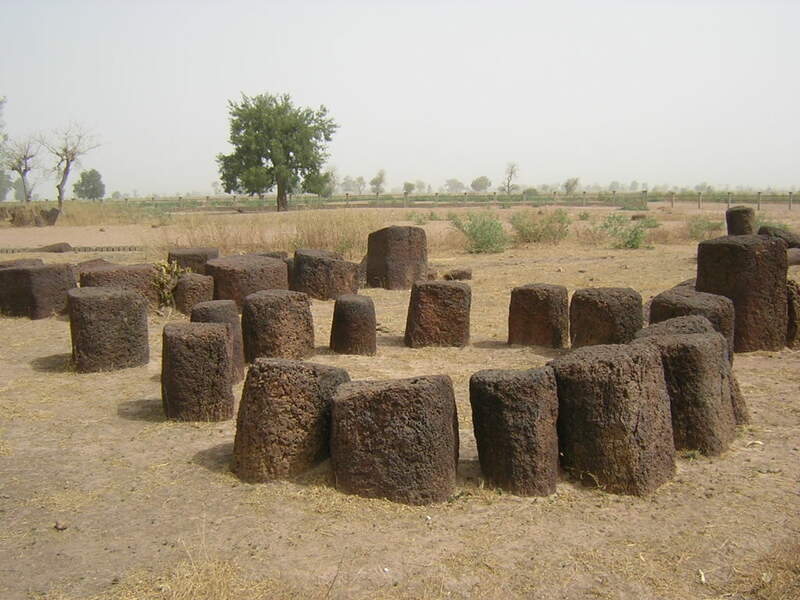 The area houses one-third of all Senegambian lyre-stones. According to the archaeologists, the monuments found on this site seem to mark burials. 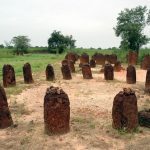 The researchers have pointed out that Wanar was first a burial ground, and stones were added later for the purpose of rituals. 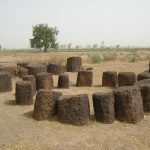 A current dating program estimates the construction of the double circles took place between twelfth and thirteenth centuries. An excavation in 2008 revealed two types of burials – simple burials comprising large pits with a mound and deep burials with narrow mouths. 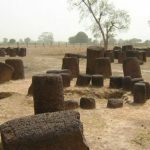 Perishable materials like brick and plaster were also found in the burials, implying the existence of funerary houses constructed at the time of burial. 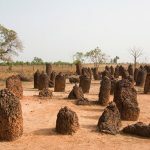 Some stones found in Wanar were tall, slim, and cylindrical while the others were shorter, squatter and more trapezoidal than the rest. It is the largest among the four sites comprising of 52 stone circles, one double circle, and 1102 carved stones. It is usually accepted that the single burials found here are older than the multiple burials that are related to the construction of the stone circles. 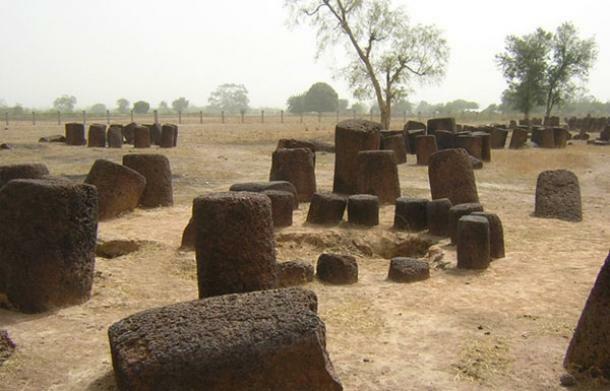 A project known as Sine-Ngayene Archaeological Project was undertaken in 2002 which led to several findings such as iron smelting sites and quarries were found by the expedition team located near the monument sites. The team also found proof of the existence of hundreds of homes nearby dating to the time of the construction of the monuments, occurring in groups of 2-5 with remains of house floors and pottery shards. Initially, several burial mounds surrounded the site, but were leveled through erosion over time. Some facts suggest burials occurred earlier while the stones were erected later, solely for the burials.